You may be sick of hearing about "the Cloud" by now, but you might as well get used to it. The Cloud has invaded NASes and networked media players and it's now starting to engulf the lowly router. 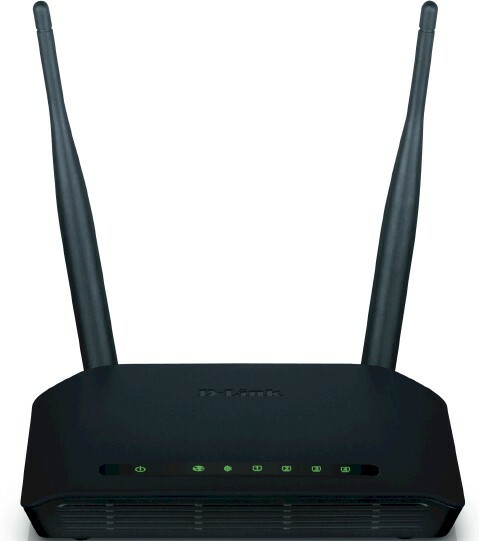 The first example of this new genus is D-Link's DIR-605L Cloud Router. You might expect that a first-in-category product would come at a premium price. But D-Link has taken a different approach by starting with an entry-level 802.11bgn router with 10/100 Ethernet ports, adding a handful of monitoring features available via its existing mydlink.com portal and pricing it under $50. I covered 605L's cloud features in a separate SmallCloudBuilder article. This review will cover its feature set and performance. The 605L is more physically similar to D-Link's DHP-1320 powerline router, than its "Amplifi" siblings like the DIR-827 and DIR-657. The small, well-ventilated case is made to sit on a desktop and has no bottom-cover mounting slots and no bundled vertical-mount stand. The dual non-upgradeable 5 dBi antennas seem to loom over the smallish case, but are light enough to not cause it to tip over backwards. The front and rear panel callouts taken from the user manual don't need much explanation. As befits a sub-$50 router, all ports are 10/100, not Gigabit and there is nary a USB port for storage or printer sharing. The inside shot from the FCC ID docs below isn't great, but it's clear enough to reveal that Realtek was tapped to power the 605L. Other FCC photos had close-ups of all the key components, which are summarized in Table 1. The design is very similar to the Amped R10000G that we just reviewed; actually more like its R10000 10/100 sibling. Note that the 605L doesn't have separate transmit power amplifiers like the Amped routers. But it was able to run all tests in Location F.